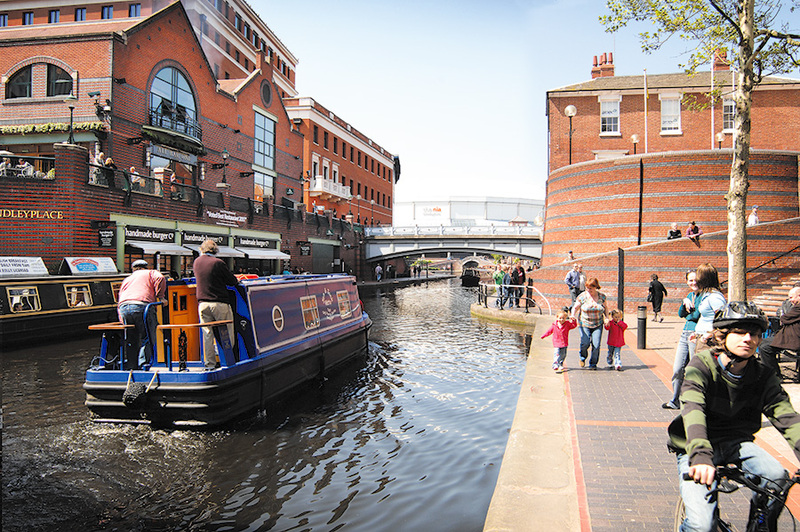 Brindleyplace is a large mixed-use canalside development, in the Westside district of Birmingham, England. It is often written erroneously as Brindley Place, the name of the street (in turn named after the 18th century canal engineer James Brindley) around which it is built. It was developed by Argent Group PLC from 1993 onwards. 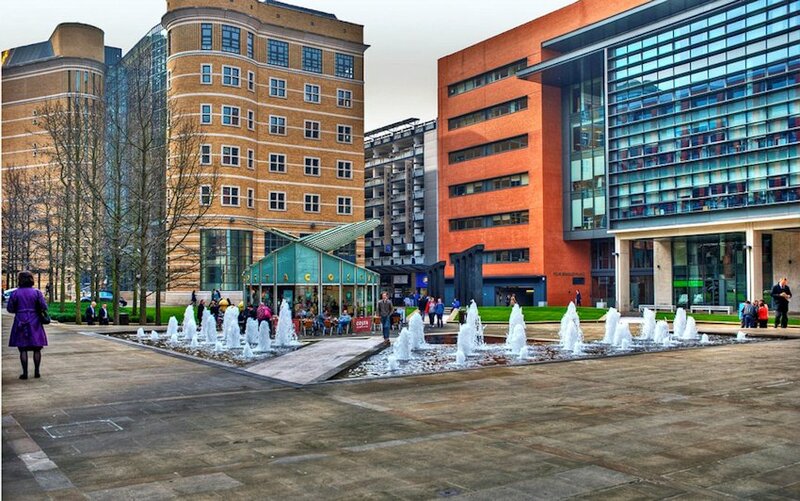 In addition to shops, bars and restaurants, Brindleyplace is home to the National Sea Life Centre, Royal Bank of Scotland, Orion Media, Ikon Gallery of art and a Hilton Garden Inn. The site covers 17 acres (69,000 m²) of mixed-use redevelopment on a grand scale – the UK’s largest such project. The Birmingham Canal Navigations Main Line Canal separates Brindleyplace from the International Convention Centre, although there are linking bridges. The National Indoor Arena, Old Turn Junction and bustling bars of Broad Street are nearby and it is easily accessible and within walking distance of the main bus and rail routes.